Known for its white sandy beaches, remote hideaways and luxurious spas, the Caribbean spans 2,500 miles with more than 7,000 islands, reefs, and cays. Most leading hotels in the region now offer full service spa operations which are led by leading spa companies including Shambhala, Aveda, Molton Brown and ESPA. Here Breaking Travel News checks out the latest developments. Travellers can find a range of treatments available, from a Swedish or hot stones massage through to aromatherapy. In addition, many hotels offer a range of relaxation classes including meditation, yoga, Tai Chi and Pilates, and sometimes a range of complementary therapies – for instance Reiki and acupuncture. The recently opened CuisinArt Resort & Spa in Anguilla is truly eco-friendly, using the Xeriscape principles of conserving water and energy through creative landscaping. A hydropanic farm and organic garden on property grow many of the vegetables, flowers and herbs used by both the chefs and the therapists in the Venus Spa, for treatments such as the Hydroponic Cucumber and Aloe Wrap. The Viceroy Resorts & Residences in Anguilla addresses whole-person health through curated wellness experiences founded on the fundamental principles of balance, breath and beauty. Featuring individual and couple’s treatment rooms, salon services and an outdoor swimming pool. Meditation, cooking, and healthy lifestyle classes and presentations add additional dimension to the wellness experience. The US$11 million Parrat Cay is a modern and luxurious hotel in Turks and Caicos that is popular with A-listers - including Bruce Willis and Eva Longoria. The COMO Shambala Retreat offers an outdoor women only Jacuzzi and one-on-one Pilates instruction. An Abhyanga package combines massage, Swedana (herbal steam) and Ubtan (a body mud mask) which enhances circulation and releases impurities through the skin. 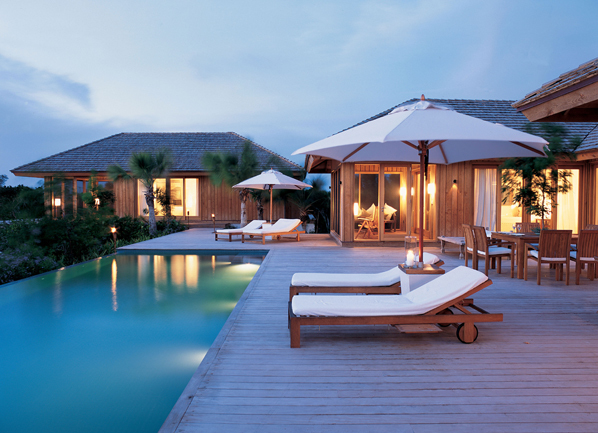 Amanyara, also in the Turks and Caicos Islands, recently announced the debut of the Serenity Villa, a 13,000-square foot wellness facility featuring luxurious treatments along with yoga and Pilates classes. A wide range of beauty services are also offered. Centuries-old healing traditions are put into practise at the Fern Tree Spa at Half Moon Resort in Montego Bay. From a massage with heated sea shells and a sugar and allspice body exfoliation to a “Jamaican Bush Bath” steeped in the local healing herb known as “cerasee”, the spa on the sandy crescent dotted with fragrant gardens is relaxation. Red Lane Spa is a sanctuary for mind, body and soul that reinterprets classic European spa rituals with a distinctive Caribbean flair. Spa treatments utilise botanical products and custom formulations. Red Lane Spas can be found in Sandals properties in Jamaica, Antigua, St Lucia and Bahamas. The KiYara Spa at Jamaica Inn is a tropical Caribbean Spa, nestled in the coral cliffs of Cutlass Bay, just outside of Ocho Rios. The treatments highlight their philosophy of “In Balance, with Nature” and are drawn from the plants of the island, which are sourced both from local organic farmers and wild-gathered, by environmentally-sustainable methods. Their signature treatments, the KiYara Tropical Body Beauty Rituals, are based on local, herbal traditions, using plants available on the island and consist of three steps: a Scrub, Masque and Finishing. Perched 3,100 feet above sea level in the Blue Mountains, Strawberry Hill Hotel & Spa combines rich Jamaican heritage, with healthy conscious living. The Strawberry Hill Living Spa, one of the highlights of the property, specialises in stress relief and organic healing based on the five elements practiced in Ayurvedic philosophies. Five treatment rooms include a specialised hydrotherapy room, a plunge pool, a sauna and a deck for yoga and other outdoor activities. The property’s high altitude captures the seasonal mountain mists that create an ideal climate for lush plant growth and truly healthful living. Treatments range from a personalised elemental massage to a refreshing lemon grass wrap. The Sugar Ridge resort in Antigua recently launched a wellness programme designed for those in need of a health kick. Catering for all levels of fitness, the retreat offers daily activities, specialist treatments and healthy eating cookery classes. The Meliá Buenavista All Inclusive Royal Service and Spa recently opened in Cuba, offering a secluded spa experience complete with chalet-style accommodation, full butler service and a private pool jacuzzi. Almond Resorts are re-launching their spas as ‘Praana spa’ across all Barbados resorts, and will be the first authentic destination spas to be introduced on the island. After major renovations, Hotel Guanahani and Spa in St Barts reopened in December. A new luxury suite, ‘The Admiral Suite’ is a villa style with a private beach and lagoon views.